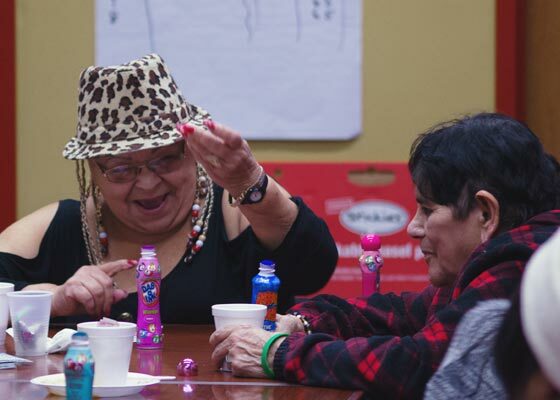 Resident Services | IBA Boston | Inquilinos Boricuas en Acción empowers and engages individuals and families to improve their lives through high-quality affordable housing, education, and arts programs. Promoting a better quality of life, the program combines recreation, culture, health, educational and case management services. Meet basic needs through advocacy, case management and referrals. Keep active and connected to the community through social, recreational, and cultural programming. Boost health and wellness through fitness/exercise classes, workshops and health screenings. "It helped me make connections with my neighbors and each other. I learned to play music and share my skills. I would recommend this program because is a good way to bring people together, improve communications, improve health and trust each other. Also, people know who I am." - Edwin Seda, 52 years old. Case management, benefits screening and referrals (click here to make a referral). Assistance with translation and interpretation. Social, recreational and cultural programs. Health workshops and screenings, and support for medical appointments. For more information, please contact Suzeth Dunn-Dyer, Program Director at (617) 399-1962. Save your spot! Click below to enroll.